If you’ve ever wondered what’s behind the doors of a prestigious private school, here’s your chance to peer over the wall. 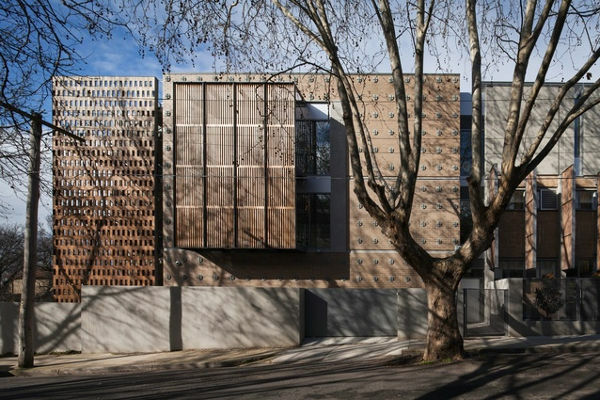 This boarding school for girls in South Yarra has redeveloped its junior building, transforming it from a 1970s box into an architectural masterpiece. Come and take a look. 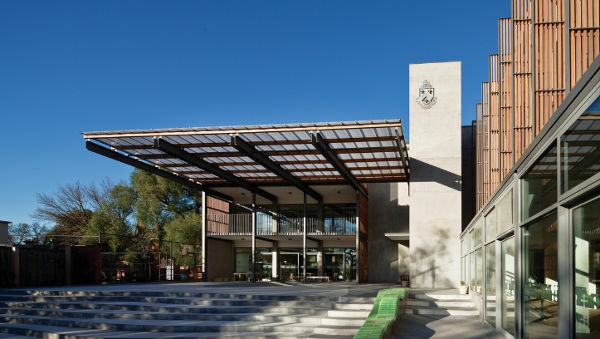 The revamp of Morris Hall was the latest project for the school, and is used by the prep to grade four pupils. 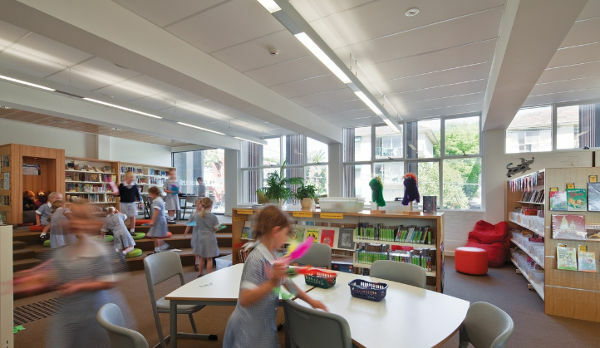 The refurbishment was led by Sally Draper Architects and DP Toscano Architects, and their task was to create a ‘collaborative learning environment’. Morris Hall is an L-shaped building that envelopes a courtyard with its three stories. The top levels incorporate large deck areas, while inside it’s all about open spaces. There are designated areas for art and science, while other sections use glazed walls to still allow for that open feeling, without concerns about noise. Two classes can share the opening spaces at any one time, and there are work areas with zones, rather than traditional school desks. The refurbishment used the structure of the former building, so that it could still be used by students while the construction was happening. The school actually incorporated the build process into classrooms, by providing panels for students to view the work.